`Tis the season — of joy and giving and the strategic planting of seeds for future growth. Community outreach is expressed in multiple ways, and not just during the holiday season. Corporate citizenship is frequently demonstrated by some sort of financial support for community non-profit organizations that rely on charitable contributions. Employee volunteer programs are another major dimension of community involvement. When conducted strategically, both of these aspects of good corporate citizenship can deliver significant value to the company making the charitable donation, as well as to the community group itself. Community involvement contributes to key business goals, including improved reputation and the attraction and retention of employees. Nearly 90 percent of the companies that measure the connection between volunteer participation and employee engagement found a positive correlation between participation and engagement scores. Companies are increasingly tying their community involvement efforts to their business strategy and prioritizing social goals that are most relevant to their operating contexts. “Focus is important for both the causes a company supports and the company itself,” explained Katherine V. Smith, executive director of the CCC, a unit of BC’s Carroll School of Management. According to Smith, a critical first step for making sure your company’s corporate giving will yield the greatest possible social and business value is to determine how the company can offer its philanthropic partners something unique. Often, that is something that has a direct correlation with the company’s areas of expertise, she said. “Research shows that firms that direct their corporate giving programs to issues that have a logical connection to their business strategy are viewed as more credible by their stakeholders,” she said. Strategic connections can be derived from various sources: an operating context issue, the interests of employees, a marketing opportunity or a natural disaster or other event that affects people or places that are important to a company. “Such strategic philanthropy can also help differentiate a firm as an innovator that can deliver both business value and social good,” said Smith. 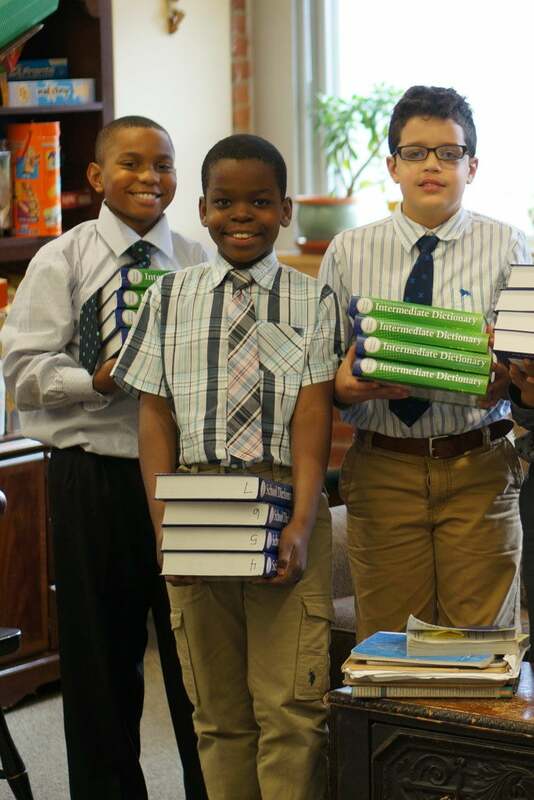 Nativity Preparatory School in Jamaica Plain relies exclusively on private sources of funding to support its unique educational offering. An accredited Jesuit middle school serving boys of all faiths from low-income families in Boston, Nativity Prep is the city’s only tuition-free school for boys. Along with individual gifts and foundation grants, corporate philanthropy is the lifeblood supporting the school’s intensive educational offering. The school also benefits from the in-kind support of volunteers such as Matt Roddy, an investment management officer at Rockland Trust. Roddy’s personal interest in Nativity Prep, whose graduates have had great success in going on to selective Boston-area secondary schools and colleges, led him to volunteer there. From serving meals and tutoring to participating on a 25th Anniversary fundraising committee, Roddy’s relationship with the school grew and eventually involved other coworkers and financial support. The Boston office and an executive of Rockland Trust have enjoyed time together as a team serving dinner at Nativity Prep and recently Kris Horn, investment and trust administrator, has become a mentor to a Nativity Prep student through their partnership with Big Brother. This collective effort of support for the school recently helped secure a grant from the bank’s charitable foundation. “The volunteers who interact with our students can become important role models for them,” said Nativity Prep president Rev. John C. Wronski, SJ. “We’ve also developed a graduate support program where our volunteers follow students as they move into high school and college, providing them personal support to help students make those transitions and, with their employers, helping to develop internship programs with corporate partners. “Working with middle-school boys and supporting them through high school and college, we think we contribute to making them job-ready and thus help to address the workforce development needs of the business community in the Boston area and beyond,” he added. “It’s a symbiotic relationship in which we partner with corporations that support our mission, and they in turn derive a direct benefit from our efforts in preparing young men to be productive members of the workforce,” said Wronski. The CCC’s research into community involvement supports the thesis that the more corporate employees are given the opportunity to participate in meaningful volunteer programs, the greater the likelihood of their being more highly engaged in their work. Dennis Hardiman, CEO of Newport, RI-based Embrace Home Loans, is a strong proponent of this view and has helped establish a community involvement culture at Embrace that he believes is both engaging his employees and benefiting the mortgage company’s bottom line. For example, through a Dollars for Doers program, individual employees are each allotted up to 100 hours of company time to participate in volunteer efforts at non-profits of their own choosing. 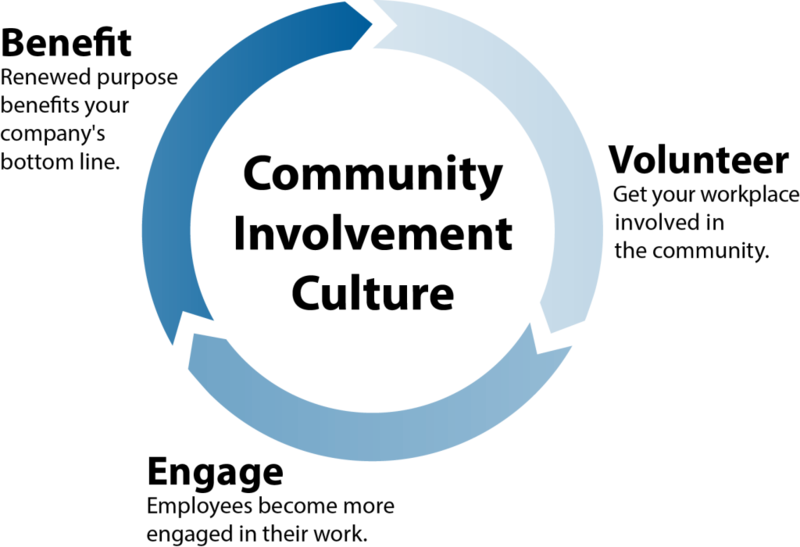 The company in turn provides charitable grants to those non-profits. One Embrace employee Hardiman points to used his time to run a youth athletic program in his hometown. Embrace also supports Year Up, a program across many cities that seeks to close the “opportunity divide” by providing young adults from urban environments with the skills, experience, and mentoring support that will empower them to reach their potential through higher education and professional careers. The company has supported Year Up across all of those dimensions, from financial support of the program’s skills training to providing employee mentors to developing internship programs. “For our employees, I think the most powerful element of our involvement with Year Up is the engagement aspect of that volunteerism, giving our employees the opportunity to work alongside young men and women of different backgrounds with different perspectives, which can translate into a more sensitive attitude in our customer outreach,” Hardiman noted.